South Indian Bank Admit Card 2019: Below are the admit cards published by South Indian Bank - South Indian Bank / ibpsonline.ibps.in. The recent Admit Card issued for the recruitment drive is PO Interview Admit Card 2019. 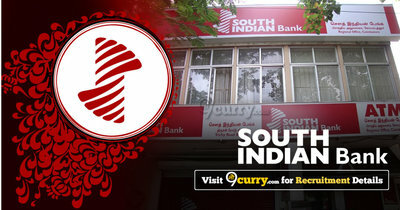 South Indian Bank PO Interview Admit Card 2019: South Indian Bank has issued the Admit Card on 15 Feb 2019 for South Indian Bank PO Exam 2019. South Indian Bank PO Admit Card 2018: South Indian Bank has issued the Admit Card on 21 Dec 2018 for South Indian Bank PO Exam 2018 which is scheduled to be held on 29 Dec 2018. South Indian Bank SIB PO Admit Card 2018: South Indian Bank has issued the Admit Card on 03 Jul 2018 for SIB PO Examination 2018. South Indian Bank PO Admit Card 2018: South Indian Bank has issued the Admit Card on 02 Jun 2018 for PO Exam 2018. South Indian Bank Clerks Interview Call Letter 2018: South Indian Bank has issued the Admit Card on 21 Feb 2018 for the exam. South Indian Bank Probationary Clerk Exam 2018 Call Letter: South Indian Bank has issued the Admit Card on 06 Jan 2018 for South Indian Bank Probationary Clerk Exam 2018 which is scheduled to be held on 28 Jan 2018.